The Scoop: Some matchmakers are satisfied with staying local and maintaining a relatively small client base, but Devora Alouf isn’t one of those matchmakers. This dating expert has used modern technology to expand her reach nationwide and offer her matchmaking services and dating wisdom to people throughout North America. In 1996, Devora launched JMatch.com, the first Jewish dating site, and she began building a niche network of singles in the early days of the internet. She had no blueprint for success, yet her personalized approach to online dating won her the respect and trust of thousands of relationship-minded singles from all walks of life. Today, Devora owns and operates three free dating sites, including MazalTov.org, a niche platform for Jewish singles with special needs. Altogether, Devora supports 100,000+ members who are seeking love and connection online. Devora Alouf is a longstanding matchmaker with decades of experience under the belt. She launched the world’s first Jewish matchmaking site in 1996 and has since done all she can to help singles use the latest technology to create more love in their lives. 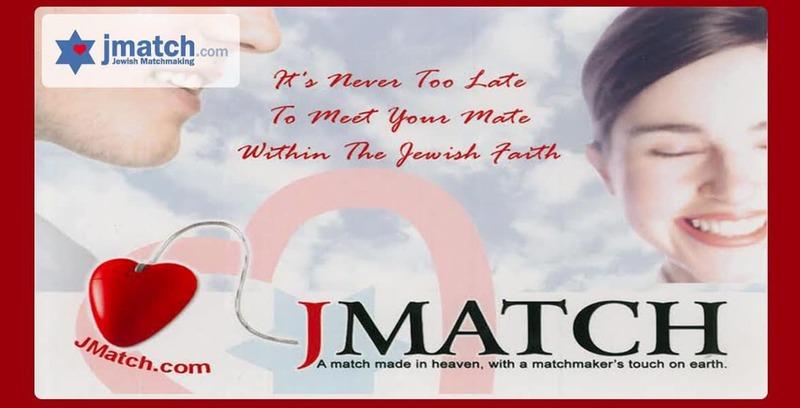 Her premier dating site, JMatch, has connected thousands of Jewish singles throughout the US. However, Devora is still intent on growing her influence and helping more people find love. Her dating site gives Jewish singles the opportunity to meet people — and she helps them take advantage of it and actually build those romantic connections. Today, she told us she often acts as a matchmaker via email. JMatch introduces marriage-minded Jewish singles living in North America. Sometimes a single person will email Devora asking for advice in the dating scene or hoping for an introduction to an online crush. Devora happily helps out in any way she can. She said she has emailed JMatch members on behalf of someone else to see if the attraction is mutual. She first lets the person know he or she has an admirer and then asks, “Are you interested?” If the answer is yes, Devora can relay the good news and let the couple take things from there. Devora can also offer guidance on how to set up a profile, what to say in a first message, and how to approach online crushes in an effective way. She gives JMatch members a much-needed support system by providing personalized advice and online matchmaking services. Anyone can send an email to [email protected] to receive her counsel on matters close to the heart. Throughout her long and successful career, Devora’s empathy, wisdom, and entrepreneurial spirit has helped many singles take control of their love lives and find fulfilling relationships both online and offline. In addition to JMatch, Devora recently rebranded and launched a free dating site designed to be a safe place for singles with a range of disabilities. MazalTov.org caters to Jewish singles with special needs. The dating site has the laudable mission of connecting people who may feel marginalized or neglected by mainstream dating services. This unique platform welcomes people regardless of their financial situation, disability, or background. MazalTov already has several thousand members, but it is steadily growing as word of its compassionate services spread. This not-for-profit endeavor has given singles with special needs the tools and technology to reach out to one another and bring an end to their loneliness. Looking to the future, Devora said she hopes to add job-matching tools and other resources to further assist members with special needs. Devora said the success stories on MazalTov.org don’t just include people meeting and falling in love. The site’s successes can be about empowering a reclusive single to put themselves out there and make friends or about a disabled person regaining confidence in themselves by having conversations with potential dates. Since 1996, Devora has built a far-reaching network of singles who are looking for long-term relationships. 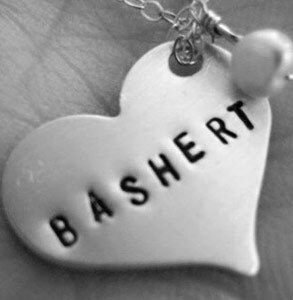 Her three dating sites — JMatch, MazalTov, and Bashert.org — have seen over 100,000 signups in total. These active dating communities make it easier for Jewish people to meet potential dates and life partners online. Men and women across North America have joined JMatch or MazalTov in hopes of finding a lasting love. The welcoming atmosphere on these sites reflects Devora’s heartfelt mission to bring more love and acceptance into the world. Devora brings a personal touch to online dating by making herself available via email, phone, or Facebook message. She frequently posts inspirational messages on her Facebook page to help singles stay on the right path in their search for love and fulfillment. Her straightforward advice is often eye-opening for members facing a range of trying dating situations. Everyone enters the dating industry for different reasons, but those who stay and find success are often the ones in it for a greater good than themselves. Devora has spent decades making a difference in people’s lives by offering her services as an online matchmaker. Matchmaker Devora Alouf gives free dating and relationship advice to singles on her dating sites. Her wise approach to dating has inspired countless singles to tackle dating issues with energy and integrity. Whether she’s recommending matches to a single woman or composing introductory messages on behalf of single men, Devora puts in a great deal of effort to ensure her members find the partner they’re looking for and deserve. Devora told us one of the most important pieces of advice she gives to singles is to keep an open mind while the seek companionship and connection. If daters can learn to accept and embrace one another’s differences, they can increase their odds of getting into a relationship and become more well-rounded and empathetic human beings. According to Devora, dating success often comes down to staying positive and open-minded while taking advantage of the social opportunities technology affords today’s singles. JMatch has the distinction of being the oldest Jewish dating site still in operation, and its success is largely due to Devora’s persistent, enthusiastic, and authoritative matchmaking skills. She brings a human touch to online dating by engaging with her members and helping them have a successful experience online. In recent years, she expanded her network to include a niche dating site for Jewish singles with special needs to continue empowering folks in the dating scene to reach out to one another. Since its launch, MazalTov.org has provided a safe and welcoming place for Jewish singles who are willing to look past physical ailments or mental health issues. Its straightforward matching tools have connected thousands of singles and facilitated genuine conversations, dates, and relationships throughout North America.